Helambu lies to the north of Kathmandu where dominantly Sherpa and Tamang races have their homes. The trekkers come in contact with temperate forests, snowy peaks which makes you feel as if you are in paradise. 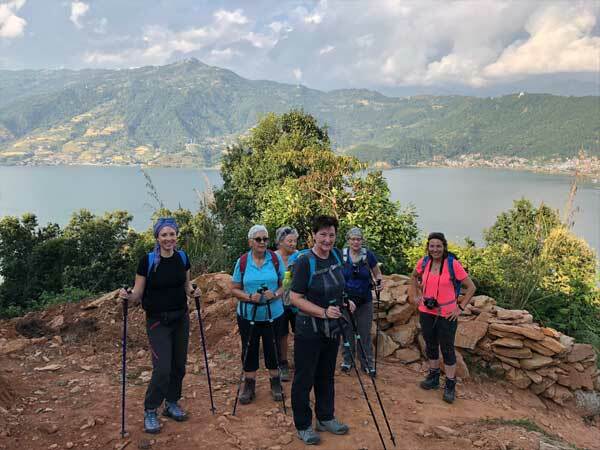 With a diverse range of brilliant green valleys, misty rhododendron forests and distant horizons of snowy peaks, Helambu is the ideal short trek. There are simple tea houses along this route, yet the area remains relatively unspoiled by tourism. You will experience the Yolmo culture of high mountain villages and watch enthralled as the farmers toil in the fields using hand made tools and teams of water- buffalo. The Sherpa village of Tarke Ghyang that forms the focus of Helambu is a charming enclave of farmers and yak herders. The trip starts with a scenic drive from Kathmandu to Sundarijal. Helambu provides an instant Himalayan trek for those with limited time. This trek is an easy and enjoyable trip conducted at the average altitude of 3500m. The trek takes you through Tharepati to Tarke Gyang, where a choice of trails opens up. However you go along the south ridge through Sermathang, down to the river at Melamchi, the site of a mega project to bring drinking water to Kathmandu via a series of tunnels. The trek concludes with a drive down to Kathmandu via Panchkhal, after a night’s camp at Melamchi Bridge. 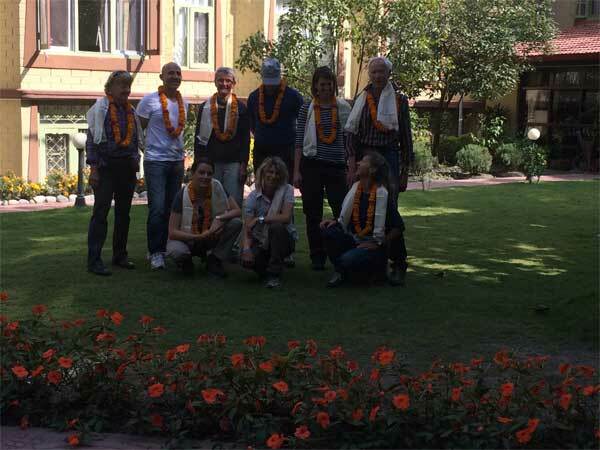 Arrival in Kathmandu Tribhuvan International Airport, a representative from Matterhorn Treks & Expedition will transfer to your hotel we will brief about your trip activities. You’ll have rest of the day at leisure. Overnight at Chisopani on Full board. It takes about seven hours. The trail continues to drop from Chisopani on a good, sometimes level, trail that crosses meadow and fields. You will then descend through Pathi Bhanjyang till Gul Bhanjyang. The trail climbs the ridge from Gul Bhanjyang to another pass at 2620 m. The meadow makes a good camping spot, its downhill to Kutumsang at 2470 m, in a saddle a top the ridge. Overnight at Kutumsang on Full board. It takes about three hours. The trek continues north up the Yurin Danda ridge and affords views of the peaks. The trail climbs above Kutumsang on a steep, eroded trail mostly through fir and rhododendron forest where there are no permanent settlements. The trail then descends to Magen Goth. There are few lodges and Goths (Domestic Animal Shed). Overnight at Magen Goth on Full board. It takes about six hours. The trail gradually ascends through the enchanting forest enriched with beautiful rhododendron, oak and other trees. Tharepati in fact is a great view point from where you can take a glimpse of the breathtaking snow caped mountains views such as Dorje Lakpa, Gaurishankar, Langshisa, Jugal, Numbur and many others. From Tharepati the trail gradually descends through the pine and rhododendron forest with great views down into the Helambu valley and across to Jugal Himal and Numbur in the Solu Khumbu. Melamchi Gaon is surrounded by beautiful forests, which is mainly inhabited by Sherpa people with their distinctive culture. There are some Buddhist monasteries situated which can be visited. Overnight at Melamchu on Full board. It takes about six hours. The early part of the trek descends until you cross the stream named as Melamchi. Now you trek gently up to Tarkeghyang passing through Sherpa settlements. Tarkeghyang is a beautiful Sherpa village with one of the oldest and biggest monasteries. Tarkeghyang, also known as Helambu is named after the Helmu caste. The Sherpa people living here originally belong to Helmu caste. Overnight at Tarkeghyang on Full board. It takes about four hours. This day the trail is quite easier through flat land with beautiful forests on the way. Your trek on crossing some small streams on the way. There is situated a beautiful village on the half way to Shermathan to add your joy, Shermathang is another pretty Sherpa village where you can visit many ancient monasteries. There you can see Jugal Himal range at the north face of Shermathang village. Overnight at Shermathang on Full board. It takes approximately five hours. The trail gradually descends all the way to Melamchi Pul Bazaar through meadows ad cultivated fields. On the way, you come across several old villages with their own particular tradition. Walking this day is quite pleasant with mountain views and interaction with local. Overnight at Melamchi Bazaar on Full board. It takes about six hours.You travel through gravel and bumpy path up to Lamidanda and then you follow the pitched road up to Kathmandu.